I am rebelling against the too early arrival of Christmas merchandise by swatching some of the fall collections I've so far not shared here. 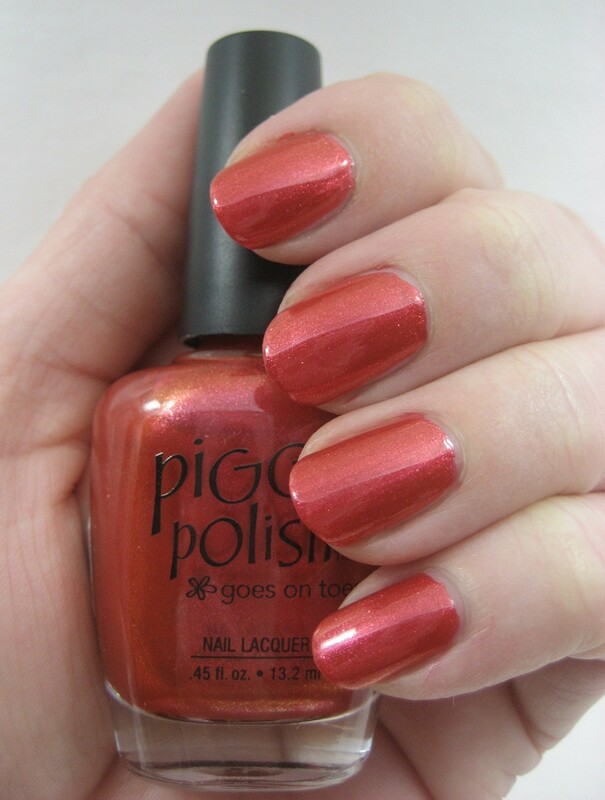 Today I have Piggy Polish. I wasn't able to 100% confirm that this is their Fall 2010 collection, as their website is still featuring summer colors, but since the display showed up at my Ulta this past autumn it it has fallen leaves on it, I think I'm on pretty safe ground calling it Fall 2010. Thanks to a sale and a coupon, I was able to pick up all five colors from the display. Left to right: Green and Bear It, Lime Alright, Baby I Love Your Waves, Copper Harbor, Grey-T.
Green and Bear It is a very glowy lime green glass fleck shimmer. This one is bright! 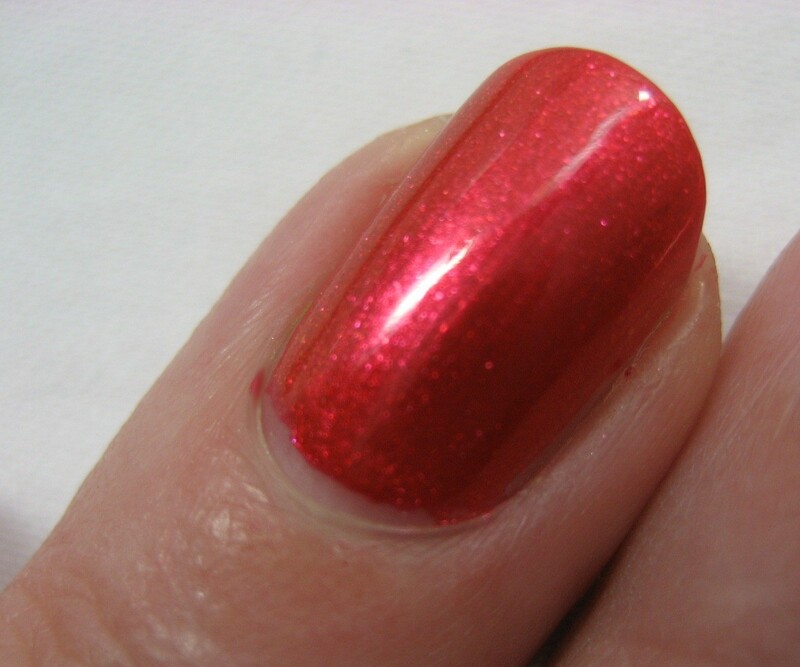 Even without topcoat, it shined in indirect indoor light and really popped in direct light. I used three coats. 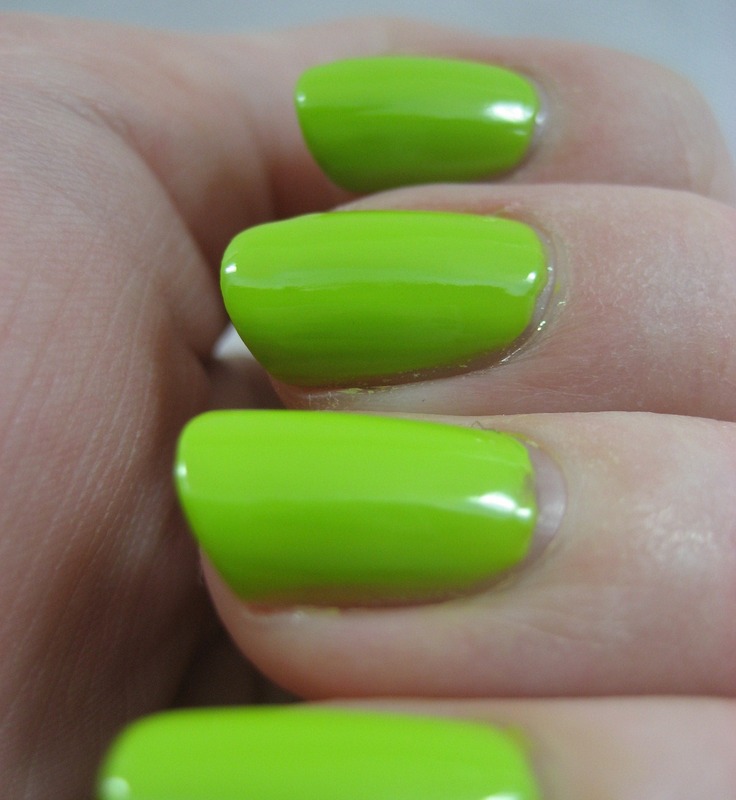 Lime Alright is another bright green but this one's a creme. It's also really a neon, which means it dried matte. I used three coats but could probably have done two if I'd been more careful with application. I tried adding a layer of top coat to this one, and that made it even brighter (and smoothed out some of the lumps and bumps from my uneven application). I tried Baby I Love Your Waves next, again using three coats. 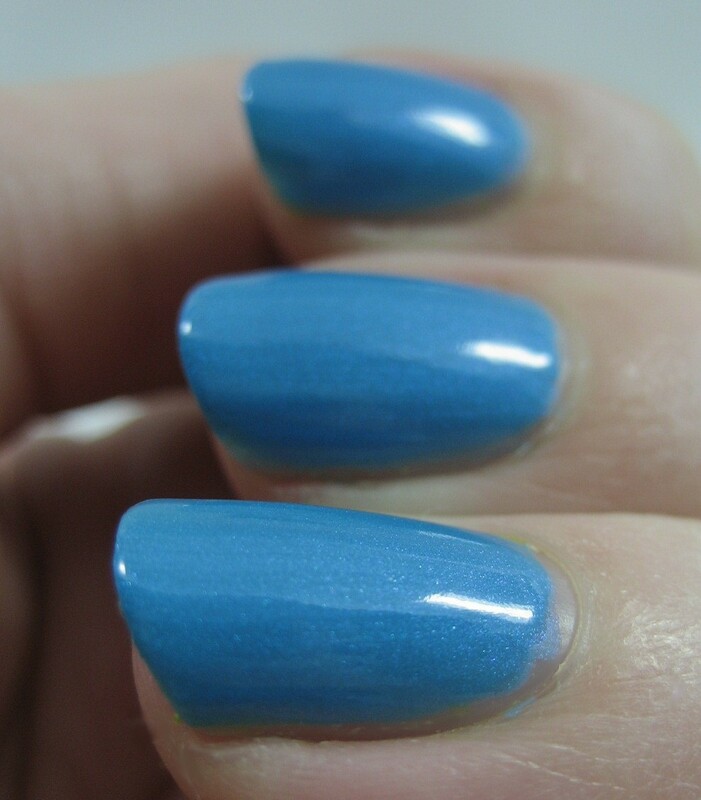 It's a blue shimmer that dries matte, so I guess it could be called a suede. Regardless of terminology, it's pretty, both without and with top coat. Copper Harbor is most autumnal color in the collection; it's a reddish orange glass fleck shimmer. I only needed two coats of this one. 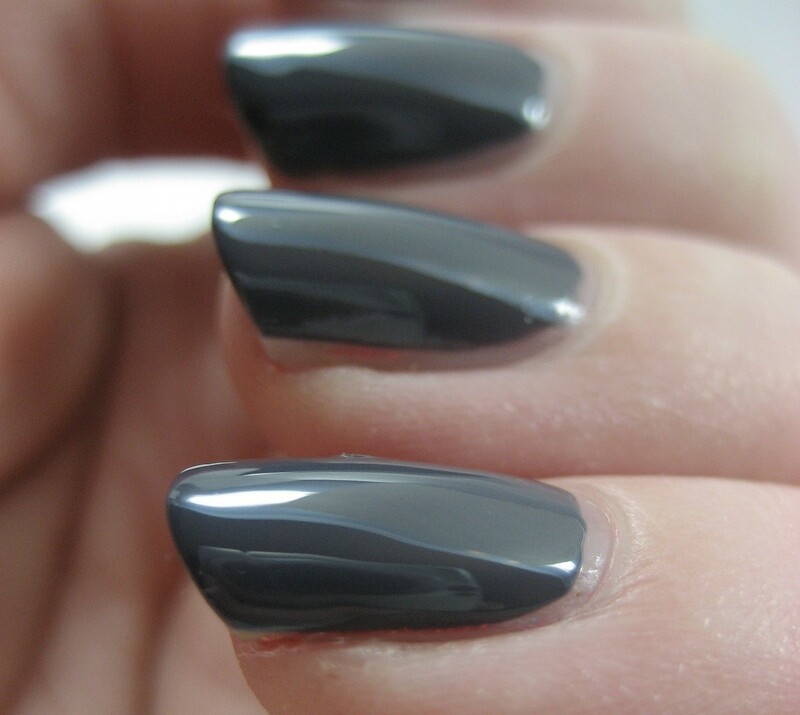 Grey-T (not to be confused with Maybelline Gray-T Glamour) is a deep cool-toned grey creme that covered in two coats and was very shiny even without top coat. My two favorites from this collection are Baby I Love Your Waves and Grey-T. My least favorite is Lime Alright, because I struggled with the formula and don't think I'll feel like having neon green nails very often. Ohhh that 1st green and the copper ones are beautiful!! 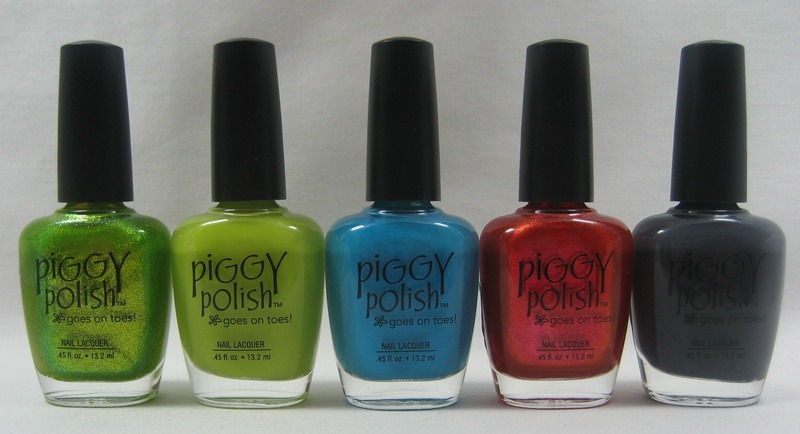 I have never been into Piggy Polishes but these are pretty!!! Baby I love your waves is my favorite. But man that name is long. I love the Baby, I Love Your Waves! :) Too bad, we don't Piggy Paints here. This is a really interesting fall collection. I like the first green one and the copper one. The matte green looks a lot like OPI Who the Shrek are You? with topcoat. 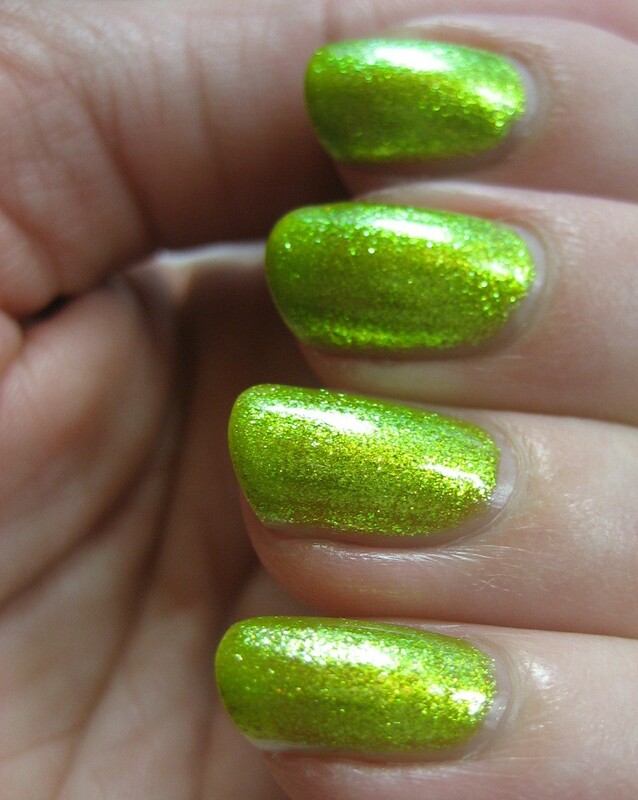 Wow, those are pretty, I can't believe how bright Green and Bear looks! Lovely colors. Great score on the coupon & sale to acquire all of the colors. :O) Thanks for swatching & sharing. Veronica, the only place I've seen these around me is Ulta. 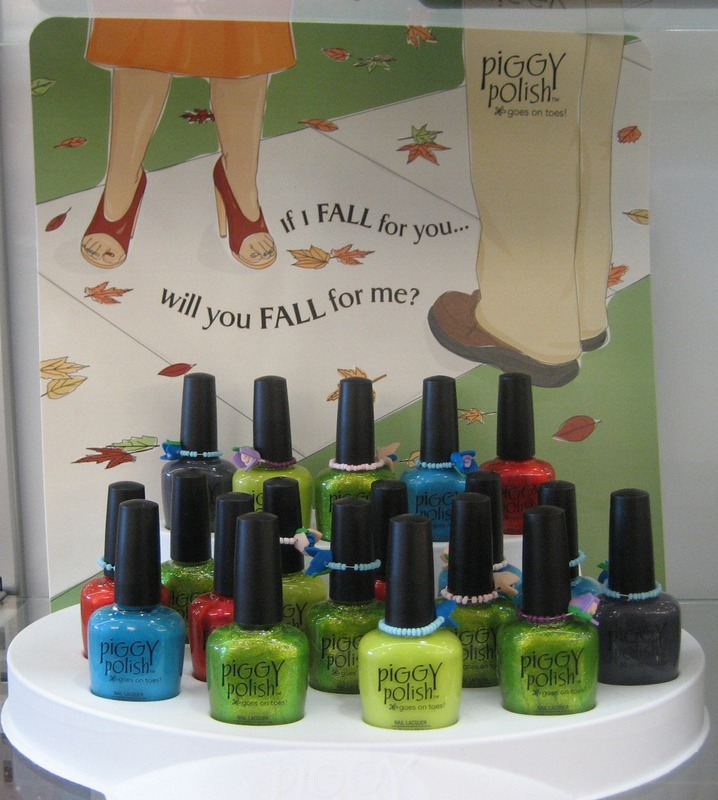 There is a store locator on the Piggy Polish website that may turn up more places they're available. My favorites are "green and bear it" and "grey-t". I love all the names, really cute!